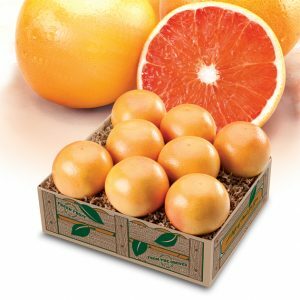 Home / Citrus / Super-Juicy Honeybells! 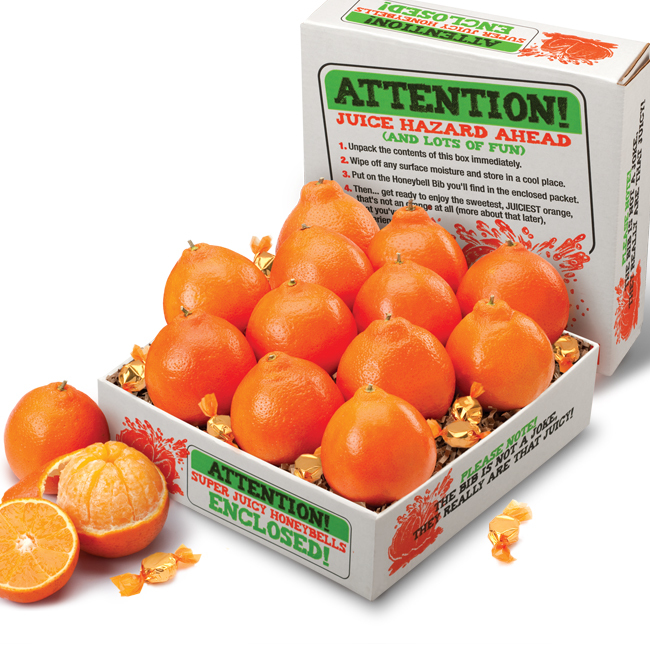 Pay attention to the warning on the box when you dive into our box of heavenly Honeybells. 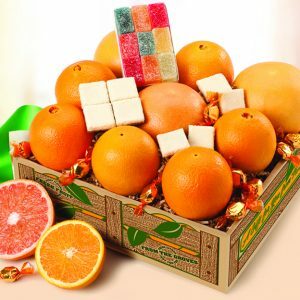 There are twelve of these juicy beauties in every gift, along with sweet little hard fruit candies. They’re the sweetest, juice-packed Honeybells around! 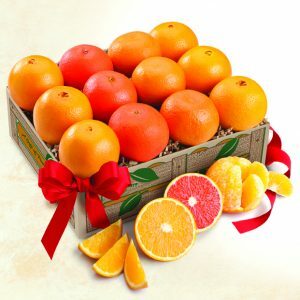 Everyone on your list will be as happy as can be with this “Super-Juicy” gift! What a sweet combination! 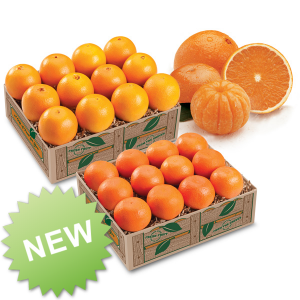 We’ve paired our new sun-kissed peel-and-eat Mandarins with our most popular holiday fruit, the Navel Orange. Naturally sweet, almost seedless, these thin skinned, rosy beauties will please everyone on your gift list. Guaranteed just picked at the peak of ripeness, fresh from the groves to you.